Rabies Post Exposure-What should I do if bitten by an animal suspected of being rabid? Rabies is a potentially fatal viral disease most often transmitted through the bite of a rabid animal. Over 90% of rabies infections in the U.S. occur in wild animals such as raccoons, skunks, coyotes, bats, and foxes. Transmission to humans can occur when virus-containing saliva of a rabid animal enters its victim from a bite. Once the virus enters its victim, it travels through nerves to the brain and spinal cord. On reaching the brain, the virus multiplies rapidly, causing inflammation (encephalitis) along with the initial symptoms of malaise, fever, and headache. As the disease progresses, other symptoms including excessive salivation, difficulty swallowing, aversion to water, confusion, and abnormal behaviors develop. At this point, the disease is typically fatal within a few days since there is currently no rabies-specific anti-viral treatment available. By taking certain measures following exposure to the rabies virus, however, the risk of developing the disease can be significantly reduced. General measures: As with most skin wounds, immediate cleansing is an important first step in reducing the likelihood of developing an infection. Bite wounds should be washed with soap and water and then a topical antibiotic and clean bandage applied. Studies performed on animal models have shown that thorough wound cleaning will markedly reduce the likelihood of developing rabies. Tetanus immunization, if not received within the previous 10 years, should be given. Bites are much more likely to transmit bacterial infections, such as those caused by Staph or Strep, than rabies. For this reason, doctors may prescribe antibiotics following a bite injury or with the development of signs of infection (redness, swelling, oozing, etc.). Post-exposure vaccination: When exposure to rabies is believed to have occurred, rabies post-exposure vaccination (prophylaxis) should be started promptly. This consists of both a vaccine that stimulates antibody formation in the body as well as the administration of antibodies to the rabies virus in the form of human immune globulin. One dose of the human rabies immune globulin and four doses of rabies vaccine given over 14 days is the standard treatment. The vaccine is usually given in the upper arm muscle and is similar to receiving a flu shot. Bites from healthy domestic animals, such as dogs, cats and ferrets, are at low risk of causing rabies. In these cases, the animal should be confined by its owner and observed for 10 days. Assuming the animal remains healthy during this period of time, rabies can be excluded. In these cases, no rabies prophylaxis is necessary. If the domestic animal appeared ill at the time of the bite or becomes ill during quarantine it should undergo evaluation by a veterinarian. If rabies is suspected, the victim should begin receiving rabies prophylaxis. The Centers for Disease Control (CDC) advises that animals suspected of being rabid should be euthanized and examined for evidence of the rabies virus by a qualified laboratory (often the State Health Department). Raccoons, skunks, foxes, coyotes or bats that bite humans should be considered to be rabid unless proven otherwise by examination of brain tissue. Post-exposure vaccination should be started promptly. If the animal responsible for the bite cannot be recovered, it may be safest to assume that it was rabid. Discussing the situation with a doctor and representatives from the State Health Department will help in determining if post-exposure prophylaxis is necessary. In the case of a stray or unwanted dog and an unprovoked attack, euthanasia and examination of the brain for evidence of the rabies virus may be the best option. In animals, rabies is diagnosed using the direct fluorescent antibody (DFA) test. This looks for the presence of rabies virus in brain tissue. 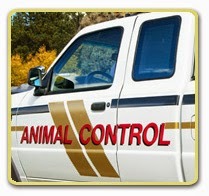 Use of this test, however, assumes that the animal can be captured without causing more injury. A negative DFA test implies that saliva from the bite did not contain rabies virus and post-exposure prophylaxis is unnecessary or can be discontinued. Largely as a result of widespread vaccination of domestic animals against rabies, the number of potential exposures to the infection has decreased dramatically in the U.S. Deaths from rabies have dropped from around 100 in the early 1900’s to 1 or 2 per year currently. Contributing significantly to this reduction in rabies mortality is post-exposure prophylaxis which, if begun soon after exposure, is almost 100% effective. 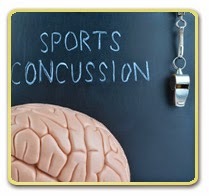 The U.S. Centers for Disease Control reports that as many as 175,000 sports-related concussions occur each year. These concussions occur not only in elite and professional athletes, but also affect recreational athletes, “weekend warriors”, student athletes, and children. While once considered to be fairly benign, it should be recognized that concussions represent traumatic brain injuries and in some cases can have serious long-term effects. What is a concussion? A concussion may be caused by either a direct blow to the head or violent shaking of the head. Symptoms can range from mild to severe and include confusion, headache, nausea/vomiting, seeing flashing lights, and loss of consciousness. A concussion can occur without loss of consciousness, and, in fact, most people who sustain a concussion never black out. Physical signs that may be observed by coaches or parents following a concussion include confusion regarding an assignment, loss of coordination, inability to recall events prior to or after the injury, forgetting an instruction, and appearing dazed or stunned. Are some concussions worse than others? Most concussions are short-lived, with recovery occurring within 7 to 10 days. But in some people, symptoms can last for days, weeks, or longer. In general, recovery is slower among older adults, young children, and teens. Once an athlete has sustained a concussion, he or she is at greater risk for additional concussions, which can have long-term consequences. In rare instances, the head injury that causes the concussion can also result in the formation of a blood clot (epidural or subdural hematoma) that presses the brain against the skull. This can be a life-threatening situation requiring emergency surgery. Signs or symptoms suggesting the presence of an intracranial bleeding include increasing confusion or agitation, convulsions, dilation of the pupil in one eye, and coma. What should be done if a concussion occurs? Because of the potential long-term consequences of sports concussion, it is important that athletes, coaches, and parents know how to recognize them. If a coach or athletic trainer suspects that an athlete has sustained a concussion, the player should be removed from play and responsible parties should be notified. If signs or symptoms point to the occurrence of a severe traumatic brain injury, the athlete should be seen in an Emergency Department for evaluation. How are concussions diagnosed? In most cases, diagnosis is made based on the events surrounding the injury and the signs and symptoms developing afterward. In addition to the history, the doctor will perform a neurological examination, which tests for balance, coordination, vision, hearing, and reflexes. A computerized tomography (CT) scan is the standard test to assess post-concussion damage. Not every concussion requires a CT scan, however, but the test is usually done as a precaution if there's a chance of severe injury. What is the best treatment for a concussion? Following a concussion, the most important treatment measure is complete rest. This includes both mental, as well as physical rest. Reading, computer work, video games — even television — should be limited until all symptoms have resolved. This typically takes 7 to 10 days, although some people have symptoms for weeks or months after the injury. There is no specific medication used to treat concussions. Post-concussive headache is usually treated with over-the-counter medications, such as acetaminophen. When can the athlete safely return to play? It is critical that the athlete become symptom free before returning to play. A repeat concussion that occurs before the brain recovers from the first can slow recovery or increase the likelihood of having long-term problems. Furthermore, a rare, but potentially fatal condition known as “second impact syndrome”, has been reported in athletes who return to play while still experiencing post-concussive symptoms. In these individuals, a second head injury appears to initiate a chain of events culminating with severe brain swelling and in some instances, death. The main criteria for an athlete's return to play include complete clearing of all symptoms, restoration of memory and concentration, and no symptoms after provocative testing. Provocative testing involves activities such a sprinting or sit-ups that raises the athlete’s blood pressure and heart rate. The length of time that it takes for complete resolution of symptoms is variable. In milder cases the athlete may be able to return to play in 7 to 10 days, whereas in more severe instances it can be weeks to months before symptoms have completely resolved. What sort of long-term complications can occur after a concussion? Post-concussive syndrome consists of prolonged symptoms following the initial head injury that can last for weeks to months. Post-concussive symptoms include recurrent headaches, dizziness, memory impairment, sensitivity to light and noise, inability to concentrate, depression, and an unsteady gait. People who have had a concussion are at increased risk of developing epilepsy for several years after the injury. There also is evidence that people who have had multiple concussions over the course of their lives experience cumulative neurological damage. Can concussions be prevented? There is no way to completely eliminate the risk of concussion from contact and collision sports. Approved and appropriately worn helmets can help, but unfortunately, there is no such thing as a concussion-proof helmet. In addition to head protection, young athletes must be trained in safe sports technique and to follow the rules of the game. With increased awareness of the signs and symptoms of concussions, however, earlier treatment will hopefully be provided and some of the long-term complications of concussions avoided. September is Ovarian Cancer Awareness month. The American Cancer Society has estimated that in 2014, approximately 22,000 women will receive a new diagnosis of ovarian cancer and over 14,000 will die of this disease. By learning more about this type of cancer, it is hoped that more women will be directed toward appropriate screening to allow its detection as soon as possible. Women diagnosed in the earliest stages of ovarian cancer, which has been dubbed “the silent killer”, have a much higher chance of survival. 1. The incidence of ovarian cancer increases as women become older. While ovarian cancer can occur at any age, approximately half of the women who will be diagnosed with ovarian cancer are over the age of 60. After menopause, women should not "let their guard down" when it comes to being screened or reporting problems that could be caused by ovarian cancer. 2. The Pap smear is not a screen for ovarian cancer. It is effective in the early detection of cervical cancer, but having a normal pap smear does not exclude the possibility of having ovarian cancer. 3. Ovarian cancer symptoms may be vague or non-specific. The most common symptoms of ovarian cancer are abdominal swelling or bloating, pelvic pressure or abdominal pain, difficulty eating or feeling full quickly, and having to urinate urgently or frequently. While these symptoms are more commonly associated with conditions other than ovarian cancer, if one or more of these is present for more than a couple of weeks, you should seek attention from your health care provider. 4. 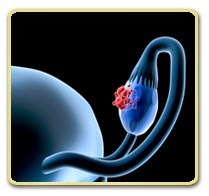 Survival of ovarian cancer is improved with early detection. If treated before the cancer spreads beyond the ovary, the five-year survival rate is around 92%. Unfortunately, only 15 to 20% of ovarian cancer is found at this stage. As a result of this delay in diagnosis, ovarian cancer accounts for more deaths that any other cancer of the reproductive system, including cervical and uterine cancer. 5. Ovarian cancer risk is higher in women who are overweight. The American Cancer Society reports that obesity (a body mass index of 30 or more) is an important risk factor for developing ovarian cancer. This risk was increased by 50% in the heaviest women. 6. Screening tests to look for ovarian cancer include the transvaginal ultrasound (TVUS) and the CA-125 blood test. The TVUS is a special type of ultrasound done with a vaginal probe and CA-125 is a protein in the blood that has been noted to be elevated in many women with ovarian cancer. When applied to women at average risk, however, these tests have not been shown to reduce the number of deaths from ovarian cancer. For this reason, use of these tests to screen healthy women with no signs or symptoms of ovarian cancer is currently not recommended. They may be worthwhile, however, in asymptomatic women who are at high risk for the development of ovarian cancer, such as those with a strong family history of ovarian cancer, or to evaluate women with symptoms or physical findings suggestive of ovarian cancer. 7. Ovarian cancer can run in families. Women who have a mother, daughter, or sister with ovarian cancer have about a three times higher risk of developing the disease. Also, women with a family history of cancer of the breast, uterus, or colon may also have an increased risk of ovarian cancer. This is caused by a change (mutation) in certain genes leading to a Heredity Cancer Syndrome. 8. Women with breast cancer may also have an increased risk of developing ovarian cancer. This is particularly true in women with a strong family history of breast cancer. In this case, the breast cancer could have developed because of mutations in inherited genes BRCA1 or BRCA2. Inherited mutations of these genes increase the risk of developing breast cancer many times over the risk of women in the general population. 9. Confirmation of ovarian cancer requires a biopsy. Tests used to evaluate for the presence of ovarian cancer, such as ultrasound, MRI scan, or CT scan may demonstrate an ovarian mass, but the only way to determine for certain if a growth is cancer is to remove a sample of the growth from the suspicious area and examine it under a microscope. Tissue for examination can be obtained with a minimally invasive procedure called laparoscopy or during an open surgical procedure. 10. In some cases the risk for developing ovarian cancer can be reduced. The general recommendations for reducing the risk of most types of cancers include maintaining a healthy weight, eating a balanced diet, and staying physically active. Women with a family history suggestive of a syndrome linked with a high risk of developing ovarian cancer should consider undergoing genetic screening. Premenopausal women found to have BRCA gene mutations can reduce their risk of both ovarian and breast cancer following removal of the ovaries. In certain situations (e.g. women who are carriers of BRCA1- or BRCA2-mutations), taking oral contraceptives may also play a role in preventing ovarian cancer. A pound of anything still weighs a pound. A pound of lead weighs the same as a pound of feathers and a pound of muscle weighs the same as a pound of fat. The misconception that muscle is heavier than fat comes from muscle being more compact or dense than fat, so if you consider same size portions, muscle would weigh more than fat. To put some numbers to this comparison, let’s look at the density per unit volume of both of these substances. Muscle has a density of approximately 1.1 grams per milliliter as compared to fat which has a density of 0.9 grams per milliliter. Therefore, one liter (approximately a quart) of muscle would weigh 1.06 kilograms (2.3 lbs.) and one liter of fat would weigh 0.9 kilograms (1.98 lbs.). This makes muscle approximately 18% more dense than fat. What is an acceptable percentage of fat? Normal or acceptable percentages of body fat increases with age and differs between men and women. As a guideline, the American Council on Exercise considers percent body fat between 25 and 31% acceptable for women and between 18 and 25% acceptable for men. Most athletes would have body fat percentages lower than this and obese individuals would be higher. Skinfold calipers involves the use of a device to "pinch" the skin at several specific locations on the body. Results vary depending on the quality of the calipers, the number of locations measured and the skill of the person performing the test. Body-fat scales use a technology called bioelectrical impedance. This involves sending an electrical current into the body and measuring the resistance to electrical flow. Since muscle conducts electricity better than fat, percent body fat can be calculated by the resistance to electrical flow. Body-fat scales are the least expensive and most widely available method of measuring percent body fat. Their accuracy, however, can vary widely vary depending on several factors including hydration status. Underwater Weighing involves submerging the person being measured in a water tank and calculating body density and percent body fat from the amount of water that is displaced. This method is highly accurate, but expensive and not widely available. 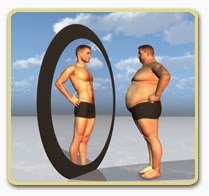 Another method, the body mass index, or BMI (nhlbisupport.com/bmi), is calculated from height and weight measurements. It provides information about general body habitus (underweight, recommended, obese, etc.) but does not provide you with a specific percent body fat measurement. This method, however, is free and does provide a rough measure of body fatness and health risks related to body weight. Benefits of having a lower percentage of body fat: The health problems associated with obesity are well known and include a higher risk for developing coronary heart disease, stroke, certain cancers, Type 2 diabetes, osteoarthritis, gall stones, and a host of other medical problems. The benefits of reducing to an acceptable percentage of body fat can include a heightened self-image, increase in strength and endurance, along with a reduced risk for developing the obesity-related conditions mentioned above. Converting fat to muscle: Another misconception is that fat can be “converted” into muscle. Fat and muscle are two different types of body tissue. Changing one to another is no more possible than a medieval alchemist being able to convert lead into gold. What really happens when people experience changes in their body composition with diet and exercise is that their bodies are burning fat (by restricting calories and cardio workouts) and adding muscle mass (through resistance training). The impression that fat is being converted into muscle is because these changes occur simultaneously. A bonus to having a higher percentage of muscle over fat, is that while at rest (basal metabolic rate) muscle burns more calories than fat. The difference is relatively small, in the range of an additional 5 to 7 calories per pound of body weight per day, but over time this can add up significantly. Losing inches vs pounds: When beginning an exercise/weight loss program, some people become frustrated because they are not losing weight even though they appear to be leaner. This can occur because of the previously described difference in density between muscle and fat. Just as a pound of lead would occupy a significantly smaller space than a pound of feathers, two people could be the same height and weight, but the person with the lower body fat percentage would appear to be leaner. Another way of looking at this is that a 150-pound woman whose body is composed of 25% fat would most likely wear a smaller clothing size than a woman of the same height and weight with 45% body fat. By reducing body fat and gaining muscle, “inches” could be lost from the waist line or other areas of the body even though the person’s weight remained the same. One lesson from this is that body weight is not the only way to monitor the success of an exercise/weight loss program. In addition to body weight, other parameters should be considered such as percentage body fat, strength, waist circumference, blood pressure, and blood lipids. Losing weight alone without improvement in these other parameters may not produce the maximal improvement in one’s health, which should be the goal of any exercise and weight management program.